Comment: Multifamily home - 1 of the 2 furnaces in the basement is leaking water. I believe that it the furnace for the main floor; however, the tenants have determined that they are still receiving heat. Comment: Trying to connect WiFi thermostats to 2-zone hot water heating system. One boxâa Taco SR501 relayâhas a terminal for Com wire. The other box is a Honeywell aquastat relay. It has no terminal for a C wire. Comment: Only some rooms have heat. Comment: Furnace wonât fire. Amber and red lights on. Bethel Heating & Furnace Contractors are rated 4.70 out of 5 based on 1,061 reviews of 13 pros. 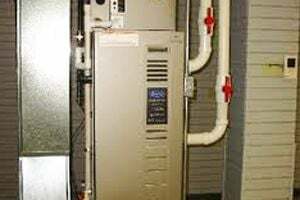 Not Looking for Heating & Furnace Systems Contractors in Bethel, CT?